incl. Bonus track: "Wizards Of Gore" from "Wizards Of Gore - Tribute To Impetigo"
BLOOD, the cult oldschool Death-Grind act from Speyer/Germany is back. 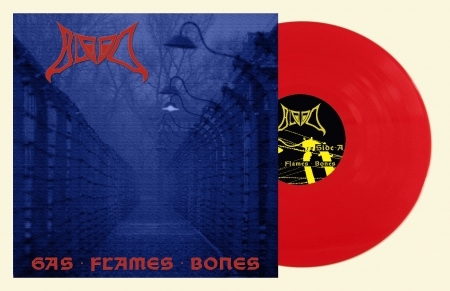 Here is the first ever vinyl version of their 1999 Album "GAS.FLAMES.BONES". As bonus track: "Wizards Of Gore" from "Wizards Of Gore - Tribute To Impetigo".